This liner (belt-less undergarment) has an adhesive strip on a protective backing, to be worn in regular underwear for a normal active lifestyle and a discreet appearance. It has excellent absorption capacities, while still maintaining skin dryness and odor control. 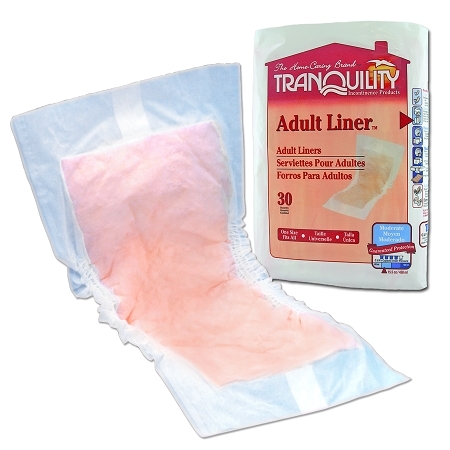 Designed to be worn in regular underwear, these pads provide excellent absorption and odor control. Offering peace of mind, the contoured fit guarantees that the pad will stay in place no matter what activity is being pursued.